need—especially those living in group homes, shelters, foster care, and orphanages. Since 2009, caring classrooms across the country have risen to the challenge and donated nearly 250,000 pairs of new pajamas. The Scholastic Reading Club has more than matched those numbers with nearly 600,000 new books donated to Pajama Program. Our class wants to be a part of this drive so that we can help make a better bedtime for these children. 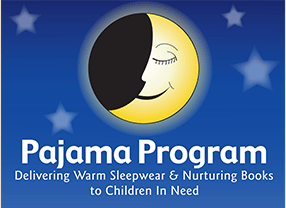 Together we can help the Great Bedtime Story Pajama Drive reach even more kids with pj’s and books. pajamas to school by December 5, 2014 The Lucky Ducks will be collecting the pajamas to be donated.